Handcuffs, white collar crime, arrest. 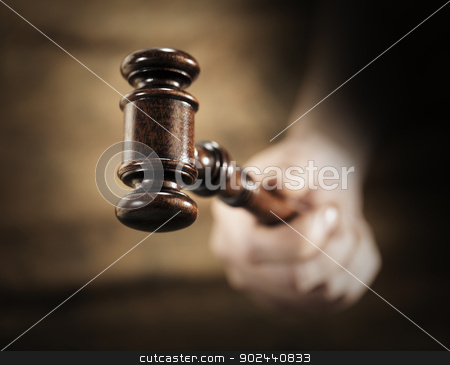 A high quality mahogany wooden gavel. Very short depth-of-field.